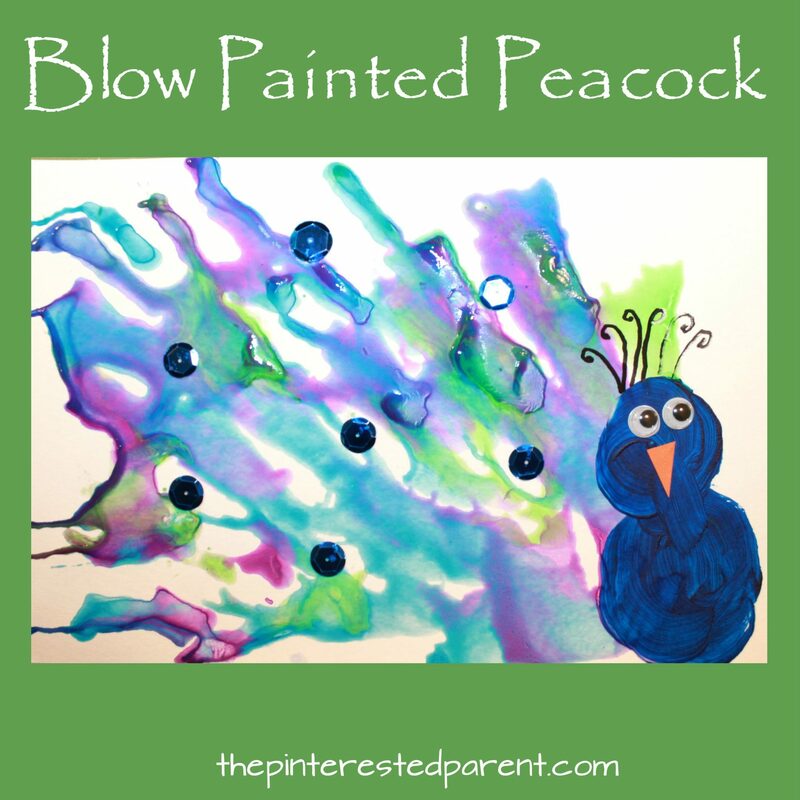 If your kids are peacock lovers like we are, you will love this pretty and fun painting project. Our family took a trip to the zoo yesterday. 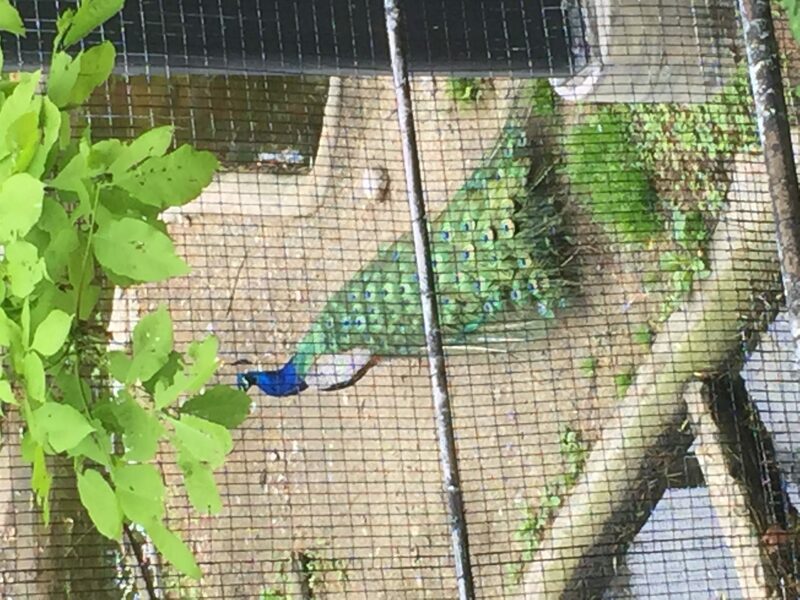 We saw a lot of amazing animals during our visit, but my favorite of them all was the peacocks. I love peacocks. They are so majestic and beautiful. Seeing these amazing creatures inspired our latest project. We have made peacocks in the past. Last year. 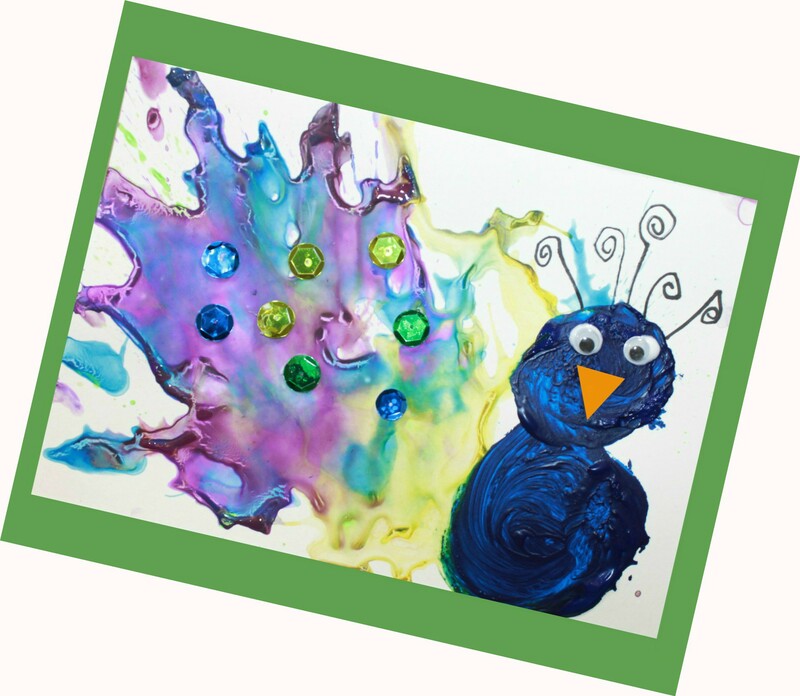 we made them by painting with bleeding tissue paper. This time around we tried using the straw blowing method. Here’s how. Ok! Now that the introductions are finished, here is what you will need. 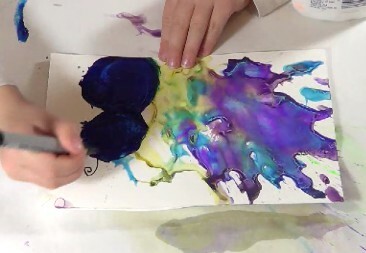 Using a syringe, we squirted watercolors onto a half of a piece of watercolor paper. You can use a full piece of paper, but we chose a half of a piece because I thought a full piece would be a bit much for my five year old. 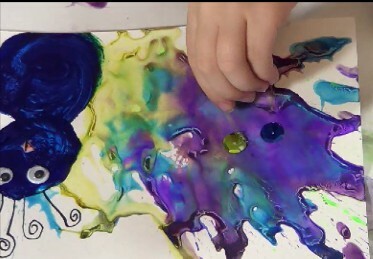 We used four different colors, blue, green, purple and yellow and worked on them one color at a time. We blew the paint at an angle. You can do this or blow the paint fanned out all around. With a paint brush, we painted a simple peacock body. 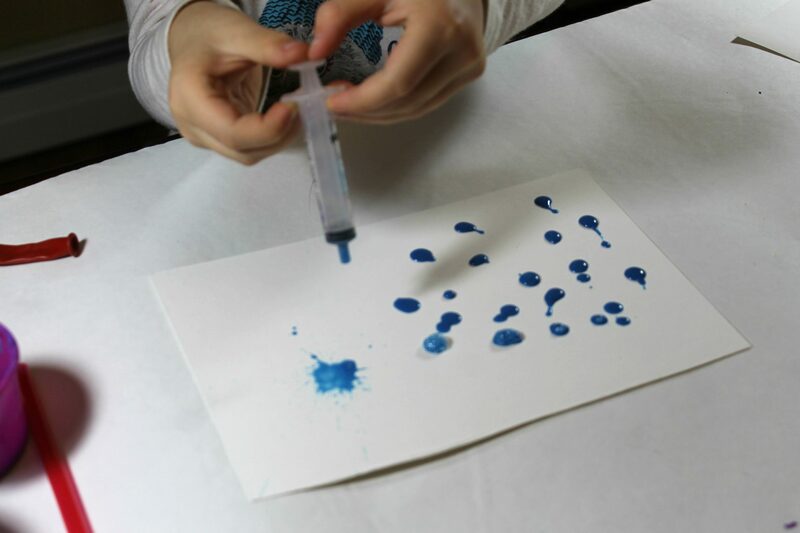 We used blue acrylic paint and painted two circles, one large one and one smaller. 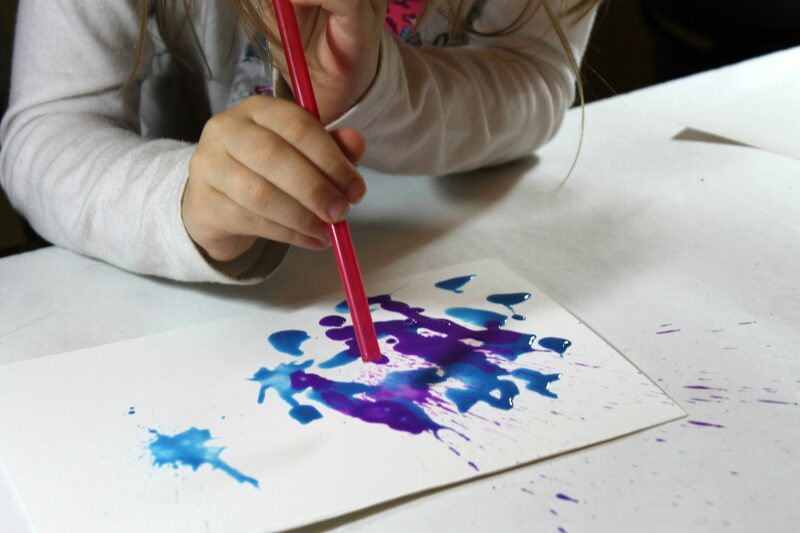 You can set the pictures aside to dry or if you are impatient like us, you can lightly dry them with a hair dryer to speed up the process. My daughter and I both used a marker to draw in the crests for our peacocks once the paint dried. We cut out small orange triangles for the beaks and then used school glue to glue on the beak and the googly eyes. Here was my daughter’s favorite part. 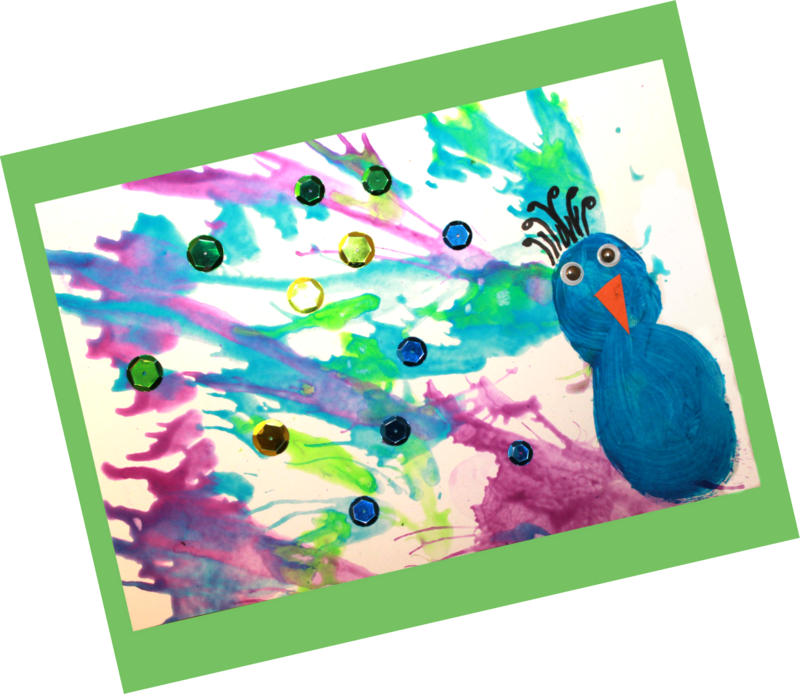 She loves sequins and was very excited that were gluing sequins onto the paint blown feathers to finish off our projects. This was a very quick and easy paint project. We just love how these came out. 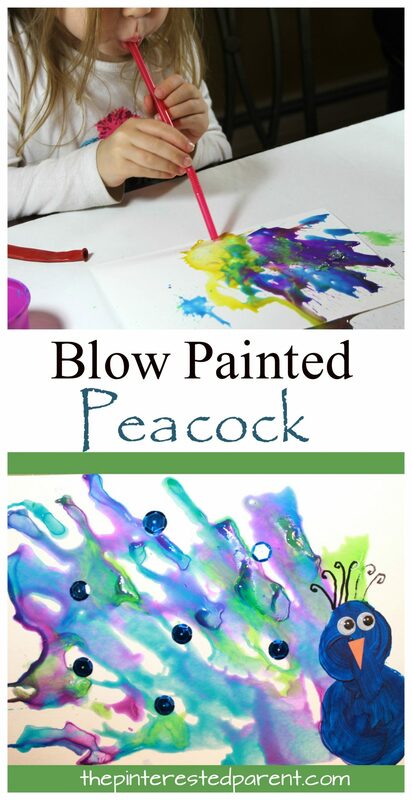 If you like this, you may also enjoy the rest of our blow paint creatures. 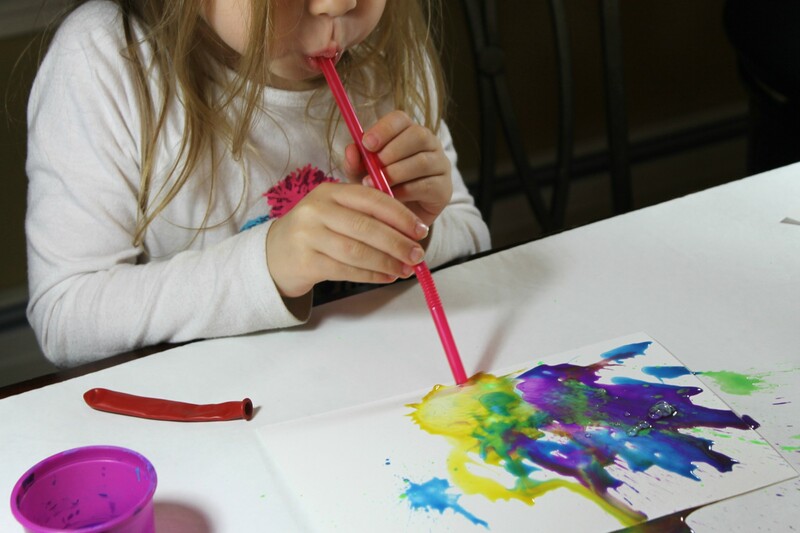 Is the paint water color paint? Sorry for the late reply. I am just seeing this. 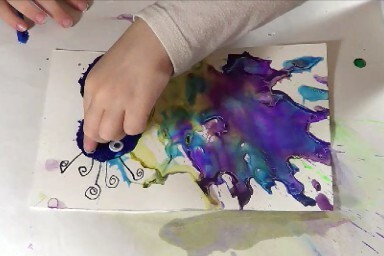 It is liquid watercolor.